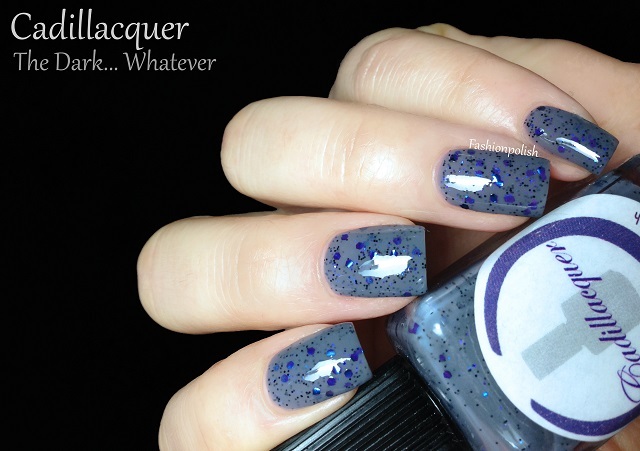 Today I have the Cadillacquer introductory collection to share with you : Do You See What I See? My very first impression when I saw all these pretty bottle was just wow so let's see what you think about them! Where is Carl? is a soft baby blue jelly with a mix of small hexes in silver, black and turquoise. Application couldn't be easier and 2 coats were enough for perfect coverage. 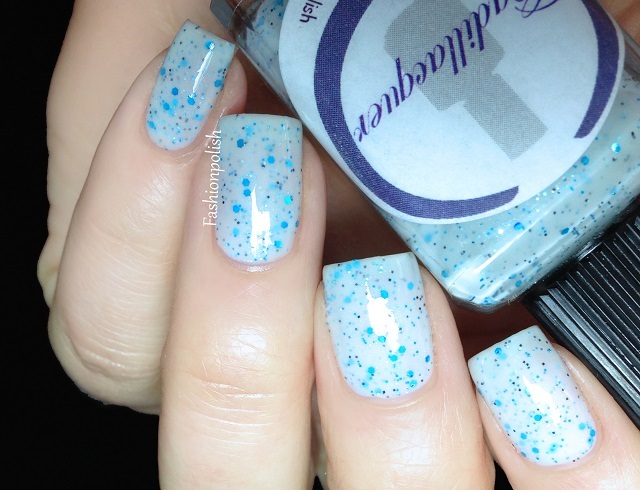 Remember Me is a pale mint green jelly infused with shimmer as well as a silver fuchsia glitter blend, including a well balanced amount of dots. Formula was amazing as well but most importantly this polish is gorgeous! Two coats plus topcoat here as well. 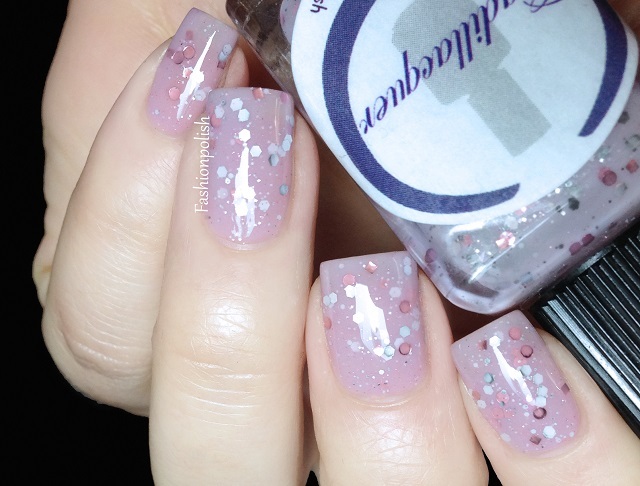 Dollhouse is a pale greyed out pink jelly with silver and rosy pink hexes and dots. I'm loving the antique touch to this one. A tad less opaque than the previous two, I used two coats plus topcoat here but I'd say it's a two to three coater depending on your nail length and application. Easy as a Pie is a medium lavender jelly with different sizes of white and purple hexes as well as a few fuchsia dots. Formula was also trouble-free here and I reached full opacity in two coats. Morning Comes is a dusty periwinkle jelly with a fine to medium mix of white and periwinkle hexes. I love how delicate it is and although it required 3 thin coats for complete coverage, I can totally overlook that fact. Cute Poison is a smoked green jelly with a complex mix of green, fuchsia, red and black glitters. I honestly thought it would be too much for me but once on my nails, it proved me wrong. Formula and coverage were perfect here as well in two easy coats. 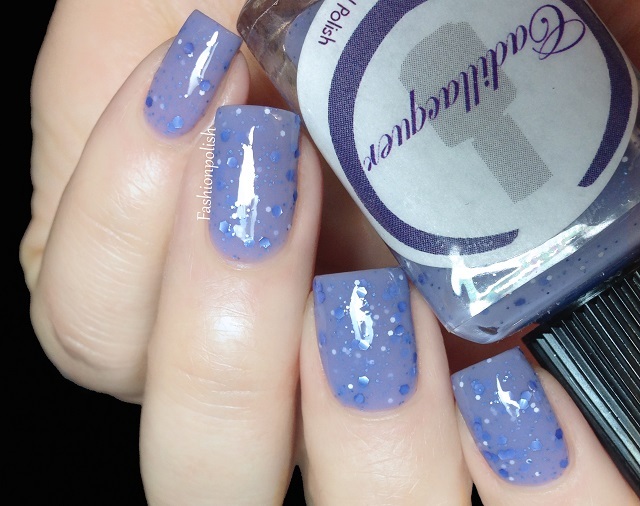 9 Crimes is one of my favorites and a perfect blend of silver shimmer and glitters in a blue based grey jelly. I love everything about it, from its base color to sophisticated glitter mix but especially how it glows! I used two coats plus topcoat but this one's also a two to three coater. 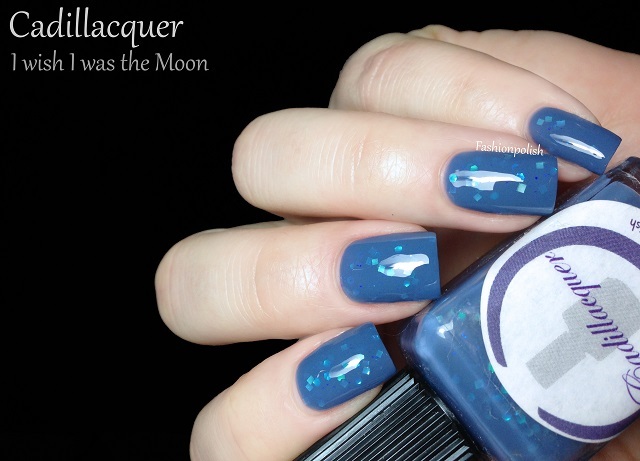 I wish I was the Moon is a dusty blue with hints of purple jelly scattered with sparse iridescent turquoise and blue glitters, hexes and squares. This one's another stunner and being saturated than the others in glitters, I find it more wearable on an everyday basis. Two easy coats plus topcoat below. The Dark Whatever is a darker grey jelly with fine black and medium blurple hexes. I really love the Dexter reference, or I least I think it is haha. 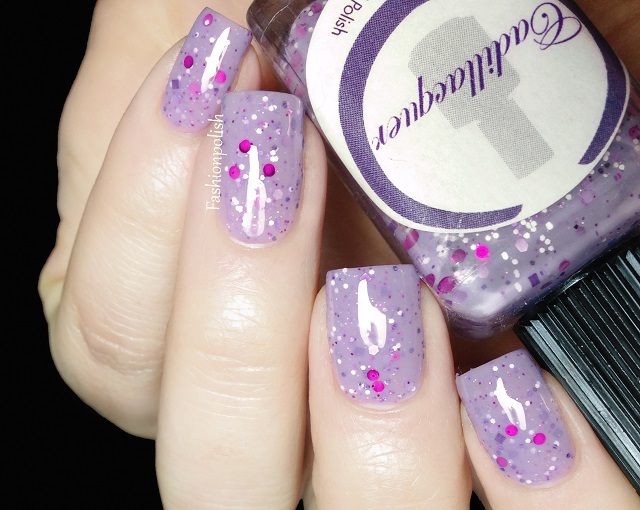 Another beauty and true jelly with a three coats coverage and easy application. Like I said, I was very impressed with Cadillacquer when I saw Madeleine's first promo shots but it was nothing compared to how beautiful I found them all in person. I'd have a really hard time picking a favorite! What about you? Anything piques your interest? Cadillacquer is available for puchase on Etsy (link) and retails for $12 each. Madeleine ships from Switzerland and offers international shipping. For more information such as product availability and new collections launches, please refer to Cadillacquer on Facebook. Amazing! Cute Poison is best! I noticed some Buffy and Walking Dead references, so I'd guess you are right about Dexter! I wish she mentioned the inspirations somewhere. We haven't this brand in france, so sad, they're so beauty ! your swatches are simply amazing! That Easy as a Pie looks awesome! I can't even pick a favorite. Just beautiful. They are all beautiful ! I'm pretty sure that The Dark Whatever refer to Dexter as well, it's the first thing I thought about ! I really like all of these! They're gorgeous. LOVE this collection! Amazing swatches and amazing polishes. What a stunnign collection! and beautiful swatches! My favs are 9 Crimes and Dollhouse! Quite a collection and hope it doesn’t cost too much.